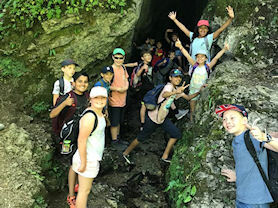 On Friday 29th June, Year 6 went on a trip to Dovedale in the Peak District. 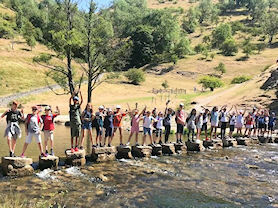 The trip links to the topic work we have been doing in school where we have been learning about famous rivers and mountains. We had a fantastic day with lots of sunshine. We all came prepared with our walking boots and lots of water. We walked along the footpath that followed the river; had our lunch in a cave before enjoying an ice cream in the small village of Milldale. We looked at the river on our walk and enjoyed the beautiful countryside. 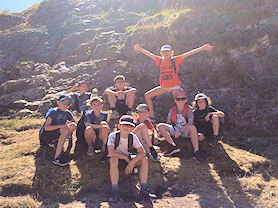 A group on our trip. Cave exploring.